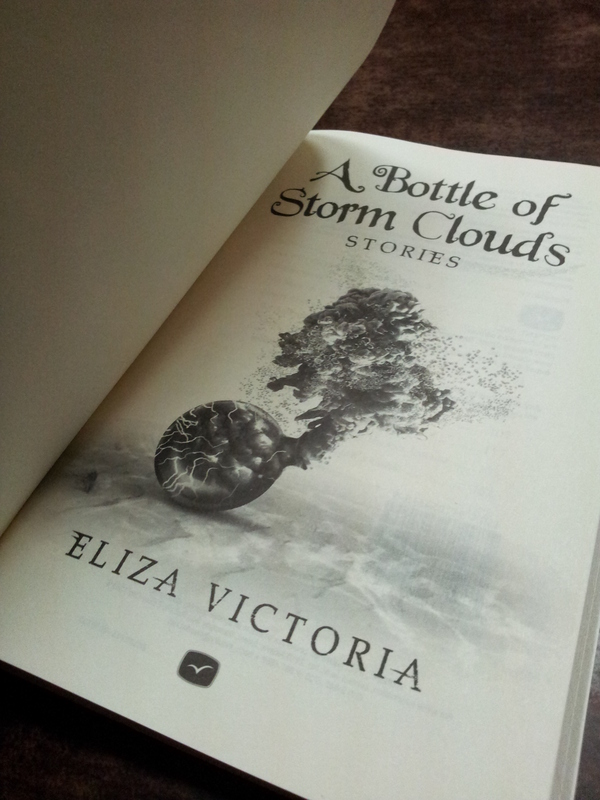 Friday awesomeness: I received my complimentary copies of A Bottle of Storm Clouds from Visprint! Thank you Ms Nida and the rest of the Visprint family! 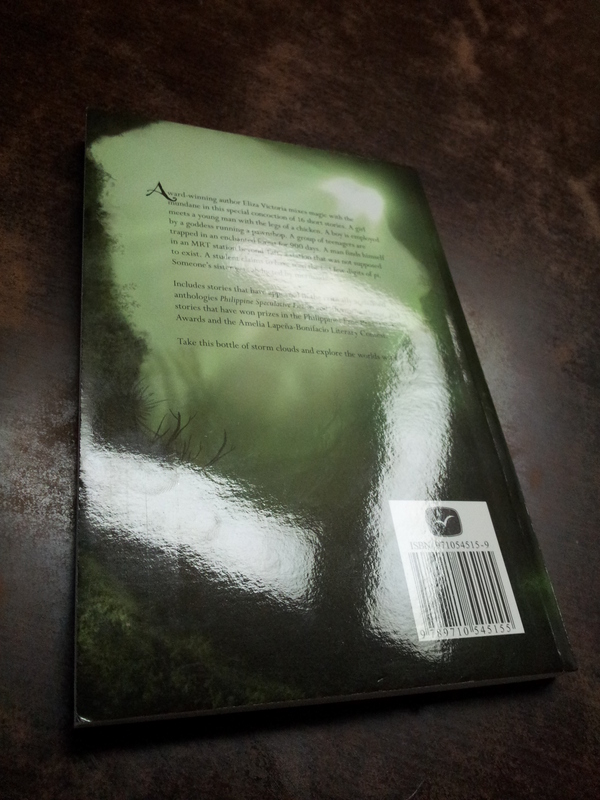 The book looks so beautiful – and I’m saying that not just because my name is on the front cover. 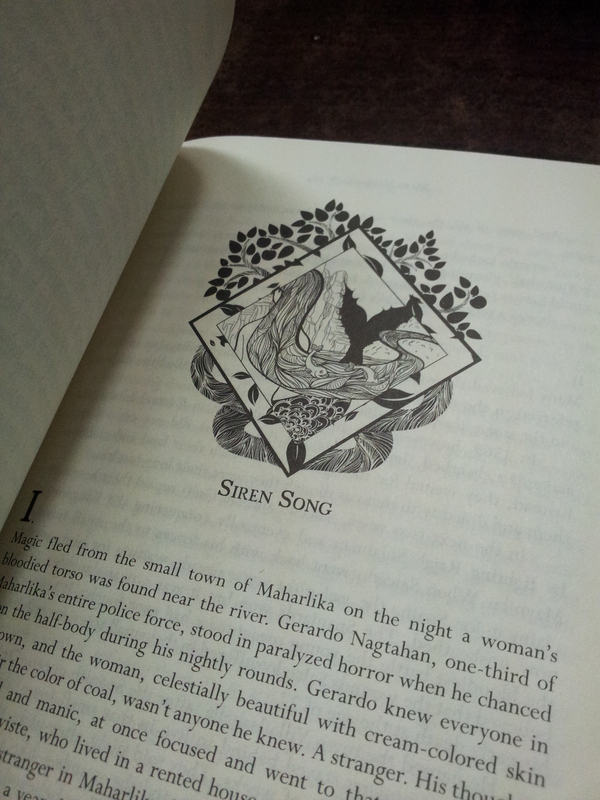 Each story is accompanied by a unique illustration. 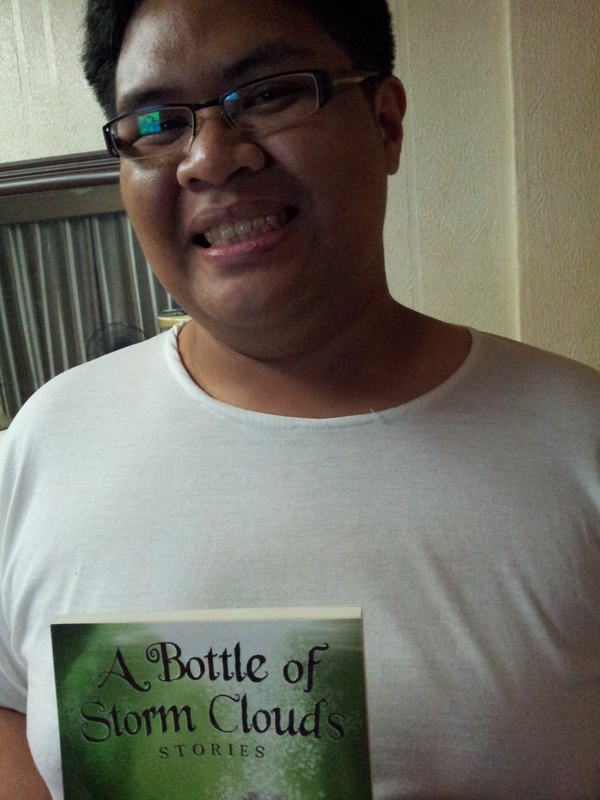 If all goes well, the book will hit the local bookstores this weekend. 2. Share this link and other ABOSC info on your social networking sites (Twitter, Facebook, Plurk, Tumblr, etc.). 3. Review the book. Share your thoughts. Doesn’t matter if it’s positive or negative. Oh, you’re still here? How sweet. 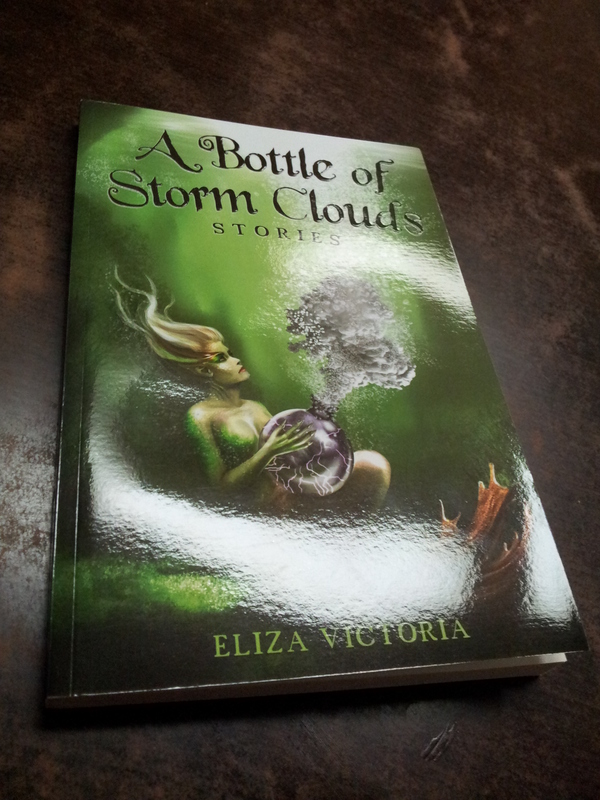 I will be giving away one (1) signed copy of A Bottle of Storm Clouds each to two (2) lucky winners. All you have to do is leave a comment here in answer to the question: What is your favorite science fiction, fantasy, or horror short story, and why? Leave a link to the story, if you wish. Doesn’t matter if local, foreign, or from outside of the Milky Way Galaxy. Make me want to read that story. Or if I’ve read it, make me want to read it again. The contest will run from today, Monday, to Wednesday, August 1, at 12 noon. In case WP acts up, I will extend the contest duration. Winners will be announced Wednesday afternoon or Thursday, Aug. 2. Open to residents living in the Philippines only. I will get the winners’ full names and full addresses, and the books will be shipped, hopefully immediately (it depends on how busy I am) via 2Go. Disclaimer: The copies I will be sending are from my own set of advance copies from Visprint, but Visprint is not a sponsor of this contest. Neither is 2Go. I am the only one running this shindig. Impress me! Once again: What is your favorite science fiction, fantasy, or horror short story, and why? 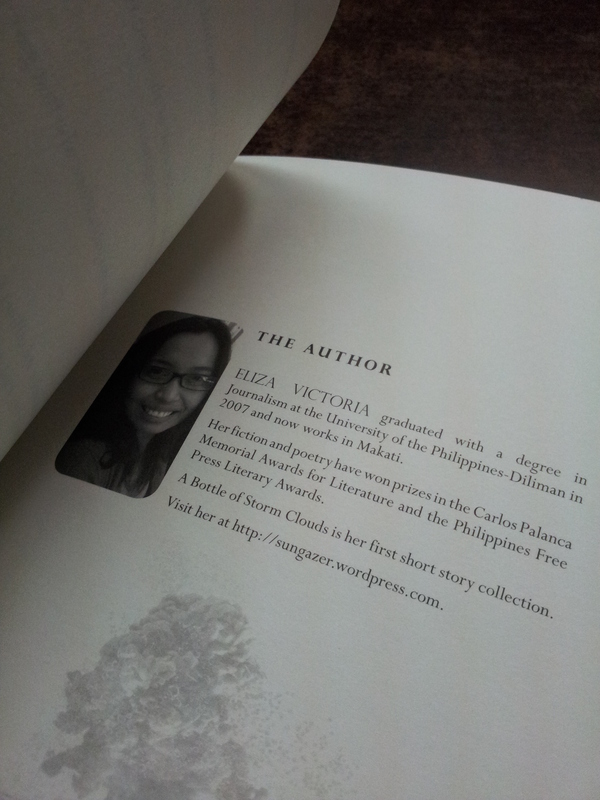 This entry was posted in a bottle of storm clouds, books, giveaways, visprint, writing. Bookmark the permalink. psf7 now on amazon + alternative alamat on sale + vote for your favorite books! My favorite (and I use the term loosely as, like most readers, what I consider ‘favorite’ changes when the next great story comes along) science fiction story thus far is Movement by Nance Fulda (nominated for Hugo and Nebula for 2012). The premise is challenging (it’s about autism); the language wonderful. But it is in how the author was able to weave the staccato and the lyrical to paint a believable picture of a very gifted individual that makes me love this piece. For those interested, a link to the story is here: http://www.nancyfulda.com/movement-a-short-story-about-autism-in-the-future. My favorite SF story is Ray Bradbury’s All Summer in A Day. I read it as a child and I was terrified by the cruelty of Margot’s classmates. Children are generally assumed to be sweet and innocent, but in reality, they can be very, very mean, especially when they form a pack. When I read this story as an adult, it was still heartbreaking. My newest favorite SF book is A Human Element by Donna Galanti. It’s a a story of love and loss and you can’t help but sympathize with each character. It’s about family, friendship, forgiveness, and the faith that everything will be alright in the end…. after a creepy game of hide-and-seek, that is. Hi Charmaine! Thanks for joining. :) But the question asks for your favorite short story, not novel. Post another comment! My favorite science fiction short story is Alfred Bester’s “Time Is The Traitor”, which makes use of the phrase “one in a million”. Rich and powerful John Strapp loses the love of his life, Sima Morgan–and he uses the power of these mathematical odds to find a girl identical to her. I loved the irony of reality versus expectation in this, and the way the twist was delivered. Though I had seen an earlier work in Story magazine, this is the story that formally introduced me to Bhex Arcega and made me never want to let go of her. It had a simple, heartwarming story done really well, a sweet differently-abled hero who rose above his challenges thanks to a little inspiration and encouragement, and above all showed that kindness wins in the end. I still wish this had a stand-alone book version out every Christmas, with pretty colorful illustrations and all that. Book tour, book tour, book tour!!! My favorite SF story is Kristine Ong Muslim’s “Moonman” (link:http://www.phantasmacore.com/2012/04/moonman/). It’s straight forward and cool in its narration, though it still leaves a streak of mystery (what is the moonman? Is he an alien from outer space? Or, as Billy suggested, somebody who got radiation?). It also shows the capacity of human beings to destroy something they cannot fully understand, and passing it off as a rational decision. “Birthday Girl” by Haruki Murakami. I love it because every time I re-read it I seem to find some detail I missed the first time around. i don’t know if it’s actually possible, but I feel like this short story grows and contracts, expands and diminishes with every read. It’s kind of a miracle in itself. When asked the question, a multitude of stories come to mind. I’m sure by this time tomorrow, I will have thought of more stories that I could easily call my favorite, and I only happened to forget at this time how much they have moved me, or changed my view on important things, or questioned certain paradigms I operate in. But there is one story that never fails to move me, and make me ponder on the nature of perspective. I discovered it years ago, something I stumbled upon entirely by accident (aren’t some of the best stories discovered this way?). “The House of Asterion” (By JORGE LUIS BORGES) is a beautiful story that shines in the short burst of images and emotions it displays. I cannot be any more detailed without taking away from the experience of reading it, its subtle and painful revelations are what makes it so unique. I read this story every so often, and its last words always leave me with a sense of uncomfortable sadness and genuine empathy. Some of the very best speculative fiction are the stories that force you to question the viewpoints you take for granted, and the perspectives we choose to ignore. The unique voices that are often drowned out by the majority, by cultural norms. “Keeping Time” by F.H. Batacan. Read this story from PSF3 and it creeped me out. I wish she’d expand it into a full-scale novel though. Super bitin! I’m so intrigued by how the story will unfold, wondering if Mike, the lead character, will actually survive the “plague”. Will he be alone? WIll Marisol survive as well? Or will he helplessly watch her die? Ow. I was just thinking about when that book will be released (a print copy at last!). @Drea I love The Yellow Wallpaper too. But my “favorite science fiction, fantasy, or horror short story” would be…”Three Days in a Border Town” by Jeff VanderMeer. Read it in the short story collection “Science Fiction: The Best of 2004.” It had all the elements I enjoy – visual, engaging and mysterious. The story is pretty solid amid being open-ended. It keeps me thinking and wondering. And I like to think. I appreciate how VanderMeer used the 2nd person point of view without sounding unnatural, plus his descriptive writing. Hehe, salamat sa tip! How do you pay though? PayPal? Hmm. Yes Paypal. I have an account with http://solidhosting.ph/ Filipino company sya so madaling ma-contact kung may problem man. Mabilis din ang response. I bought the starter hosting plus a .com domain. P1100 total normally pero may promo sila nun kaya P100 off.